There has been a lot of discussion of late on the prospect of raising the minimum wage in the US. The current proposal is for a phased increase to $7.25 per hour. Arguments for raising the minimum wage are that it will reduce poverty and inequality, especially among minorities and women. Arguments against say that it probably won't reduce poverty or inequality, and that whatever small gains are made will be offset by decreases in employment and economic efficiency. My inclination is to believe the former, but that is because I was raised in a liberal family with liberal peers. What sounds good likely reflects how I anticipate my opinion will be received by my social network, and not by rational thinking. The reason arguments for and against raising the minimum wage can both sound convincing is because there are many factors to consider. By focusing on a subset of those factors, it is easy to choose one side or another. Only the actual data can incorporate all the competing theoretical factors and provide a tabulation of the net effect. Fortunately, many US states have voluntarily increased their minimum wage in recent years, providing many natural experiments. 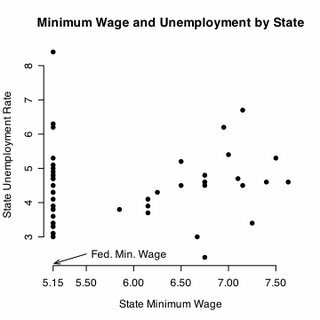 To get an initial glance, (and this is really only scratching the surface), I looked at state unemployment versus minimum wage. Unsurprisingly, there was no correlation whatsoever. 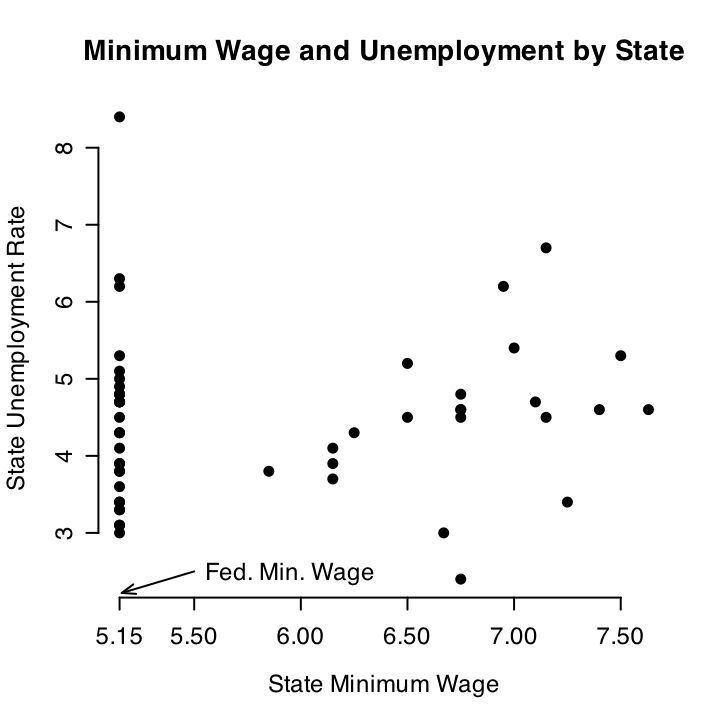 Many factors affect unemployment rate, and raising the minimum wage may have adverse affects beyond simply raising unemployment. At the very least, these data suggest that if we raise the minimum wage the world will not collapse beneath our feet, but I wouldn't anything else into it.